Patients diagnosed with fibromyalgia use a variety of different complementary and alternative treatments to help manage their condition. Since medications and surgery are rarely indicated, the use of safer (less toxic) alternatives has become widespread. About 1/3 to ½ of patients report trying different treatments, such as exercise programs, chiropractic, and vitamin supplements. Sometimes patients will take individual nutrients for particular symptoms or because that was what was recommended by a doctor. Other times the nutrient is part of a larger regimen including food and weight loss advice, other vitamins, minerals, and herbs. Most patients take a variety of supplements but what they take varies a lot from patient to patient. Antioxidants, such as certain vitamins, may offer an important link to muscle pain and fibromyalgia symptoms in some patients. Long used by athletes to speed wound healing and recovery from strenuous workouts, vitamin C has now caught the attention of researchers, who are trying to see how this vitamin works and whether it is effective as a supplement for patients with fibromyalgia. Patients who have experienced traumas have essentially suffered tissue and cellular damage. Antioxidants are part of the repair mechanism for cell healing. Vitamin C is important for tissue repair and its concentrations are lowered in patients who have suffered a trauma. One study that included twelve fibromyalgia patients showed supplementing with vitamin C (500 mg daily) resulted in a 17-20% decrease in symptoms. Because vitamin C in particular has little known toxic effects at high doses, a few to several grams can be recommended daily. The vitamin should be buffered to minimize stomach irritation. Bowel tolerance (loose stools) occurs when the body is saturated with the vitamin. One way to ingest buffered vitamin C is to take one gram each hour until bowel tolerance is reached. That amount would then be the maximum dose for the patient. The dose should then be spread throughout the day. Taking vitamins with foods may also aid in their absorption. 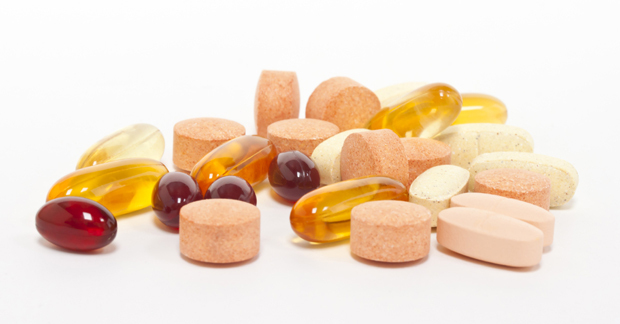 Ask your healthcare provider about the different vitamins you may be taking and your general diet. Getting nutrients from whole foods is the best source for many vitamins and minerals. Supplements should really be used to supplement a diet naturally rich in antioxidants, such as one with many daily servings of vegetables and fruits.